Although the highly influential concept of Corporate Identity builds on three elements to deliver a company’s personality — Corporate Design, Corporate Communication, and Corporate Behavior — the latter always has played a lesser role in the identity mix. This is partly due to a lack of methods to make systematic use of Corporate Behavior. Now, more than 30 years later, thanks to the advent of Service Design, there is an approach to intentionally design behavior and experience at the individual level, and make Corporate Behavior one of three equal parts to present the corporate personality and shape the corporate image. Experiences of Corporate (or Brand) Behavior involve people in a more personal, direct and inclusive way than experiences of communication and design are capable of. And, in light of the overabundance of communication in today’s world, behavior becomes all the more important. This article outlines how Service Design can step up to become a valuable marketing discipline, and suggests one procedure for deploying the methodology. After all, companies are not only judged on what they say, but even more so by how they act. Over 30 years ago, Birkigt, Stadler and Funck stated in their definitive work Corporate Identity that organizations could present themselves far more effectively through their behavior than their statements. Corporate Behavior, alongside Corporate Design and Corporate Communication, is one of the building blocks of Corporate Identity (CI), which makes up a company’s personality, or the company’s way of seeing itself. This model was since used for a multitude of companies’ identities. Yet it appears that, in reality, behavior plays a far lesser role in CI than design and communication do (2, 3). This imbalance is more obvious now than ever: the over-abundance of communication media and the constant stream of messages have actually diminished the impact and effectiveness of Corporate Communication. This article outlines how Service Design can help Corporate Behavior fulfill its intended role in the CI mix: to help present corporate personality and shape corporate image. Although nowadays the concept of Brand is more widespread than Corporate Identity, the two notions are closely related. As stated above, CI builds on impressions from design, communication and behavior, while brand is often seen as the sum of all experiences with a company, its products and services. In this respect, it would also be fair to speak of Brand Identity — and, consequently, of Brand Design, Brand Communication or Brand Behavior — and apply the conclusions from this article to both concepts. According to Paulmann, Corporate Behavior describes actions that involve various groups — externally, these involve customers, partners, suppliers, shareholders and the public and, internally, employees (4). Behavior is inherent to every encounter with a company. 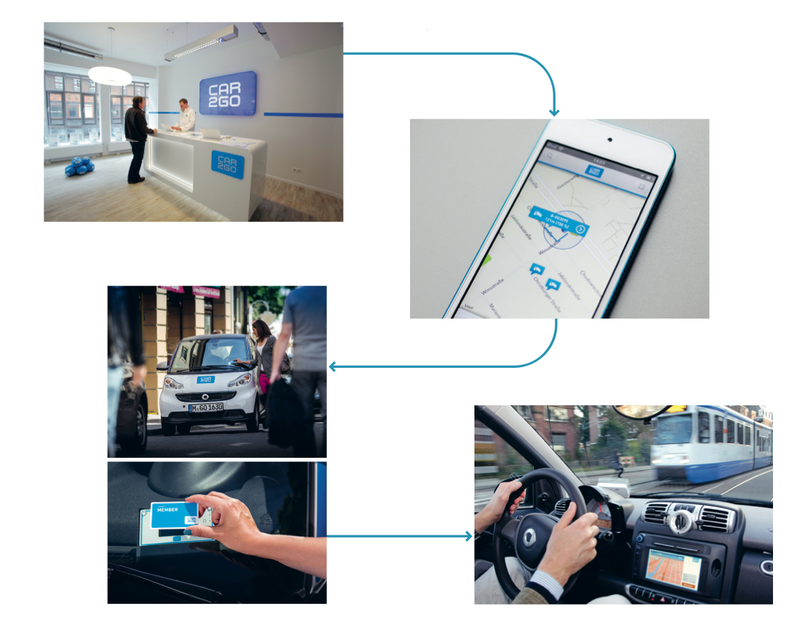 Depending on the touchpoint they encounter, customers can experience very different behavior: an interaction with a bank teller can be pleasant, a visit to the ATM quick and easy or an app detailed and informative. For Achterholt Corporate Behavior is the sum of companies’ actions. “Companies also act,” she writes, “and the sum of their actions describes their behavior.”(2) Corporate Behavior also shapes relationships — according to her, reciprocal actions are the primary basis of how individuals establish and form relationships (2). As stated above, Corporate Behavior tends to play a secondary role in comparison to the other two areas of the identity mix. There are various reasons why it is less common for Corporate Behavior to be intentionally constructed than design or communication. One is that verbal and visual elements yield higher short-term gains: the emotional appeal of an identity-compliant design acts at a larger distance and has a wider reach, something behavior can only do with great difficulty. Communication is substantially more flexible, as messages can be revised at any time. It can be used as image communication, as part of a long-term strategy to implement corporate personality, and as tactical communication to achieve short-term sales targets. Behavior is considered difficult to change because of all the learning it requires (1, 3). And even though it can be standardized in a similar way than communication and design, it takes a much greater effort to do so, as it involves long adaptation processes. Other authors cite a lack of methods to make use of behavior instrumentally (2). One-to-many: Actions, taken by either the organization as a whole or by prominent representatives thereof, that have an impact on a large number of stakeholders (employees, customers, shareholders, the media), e.g., BP’s behavior after the Deepwater Horizon oil spill in 2010, or campaigns by various large corporations to counteract effects of carbon dioxide emissions through planting trees. Human-to-human: Employee behavior towards individual stakeholders, usually people seeking contact with the company in customer service, local branches or sales. Service-to-human: Interactions between a company and an individual that are mediated by products, services and interactive media — usually these are referred to as User Experience. For example, a navigation system’s user- friendliness, the process of renting a car, or the waiting time for a taxi ordered via mobile app. Behavior on this level often takes place in addition to personal interactions with employees. 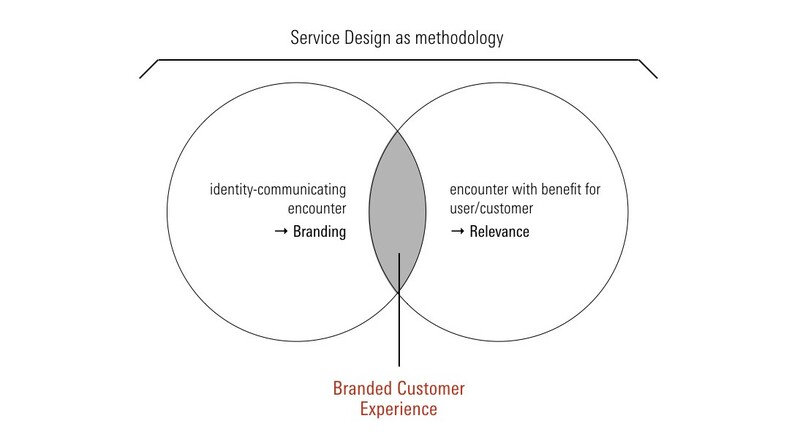 Service Design is a method and a mindset to deliberately design services and interactions. In light of the economic shift from an industrial to an information and service society, Service Design has become increasingly relevant as an independent discipline since the early 2000s. It is a holistic approach operating in the fields of design, management and process planning, and uses methods from marketing and social research (5). 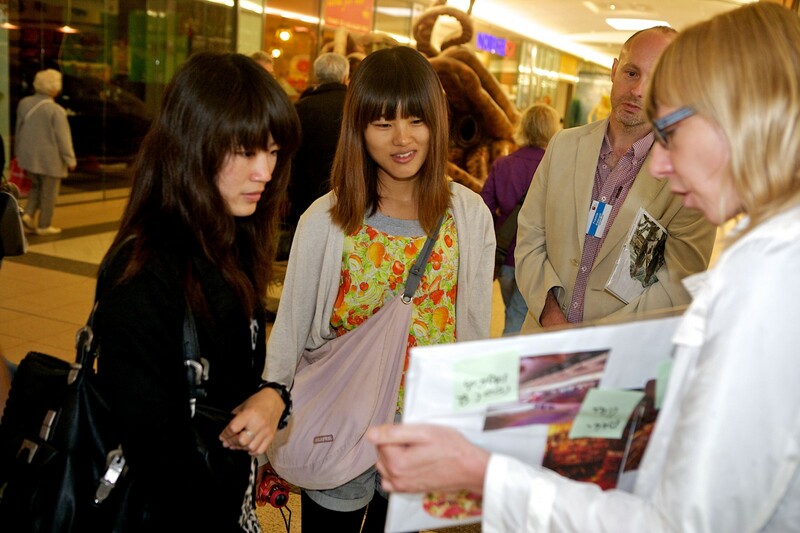 The purpose of Service Design is to create helpful, usable, desirable, effective and unique services (6). It comprises an interdisciplinary and iterative design process in which contact points with customers, mostly in a commercial context, are identified, defined and developed. Whether material or immaterial, these touchpoints must be concrete points of interactions with customers, such as an interaction with an employee, a printed form or a mobile app. Service design often deals with entire chains of interactions, e.g. the on-boarding process of customers at a financial services provider. Service Design is customer centered. It prioritizes the user over the company, concentrating on results perceived by customers more so than on the company’s behavior. It is a holistic approach, focusing on the sum of the parts within a situation such as needs, goals, skills, media touchpoints and interaction partners, rather than looking disconnectedly at specific media. Points of contact between companies and customers are not viewed as isolated events but as part of a sequence over time, factoring in user scenarios and real-life actions — the Customer Journey. Due to the high level of complexity inherent in the design of interactions, Service Design co-creatively designs point of contact with customers and users, and pursues an iterative process to gradually approach the ideal solution. Even though Service Design deals explicitly with behavior, companies have made little to no deliberate efforts to use it to convey corporate values and corporate personality. Yet, by its unique methods and approaches, it can be particularly useful to influence the human-to-human and service-to-human levels mentioned above. Currently, Service Design’s main emphasis is to foster simple, usable, efficient and effective customer interactions. And so, there seems to be a large untapped potential for using Service Design and its methods to communicate CI. The first thing to figure out is: Which group of people should the behavior affect? And to what end? 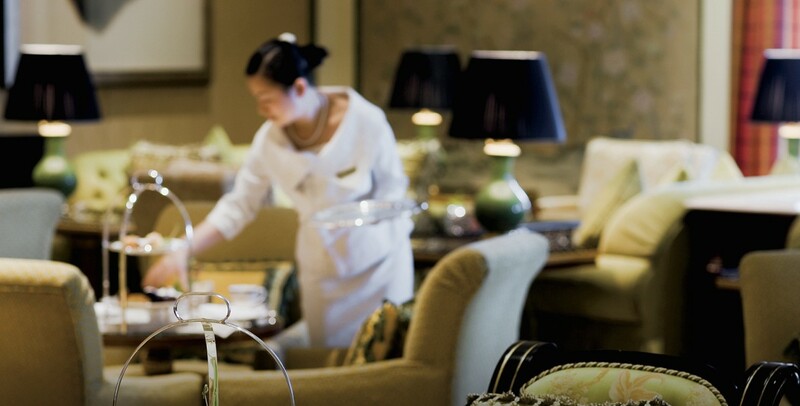 Is the goal to acquire new customers or to reinforce the loyalty of existing suppliers? The next thing to figure out is how the group can be reached, and what the relevant points of interaction are between its members and the company. For coffeehouse chain Starbucks, it is obviously the in-person interactions at the point of sale. The company’s goal is to make itself appear as human as possible, i.e., “to nurture the human spirit”(8). 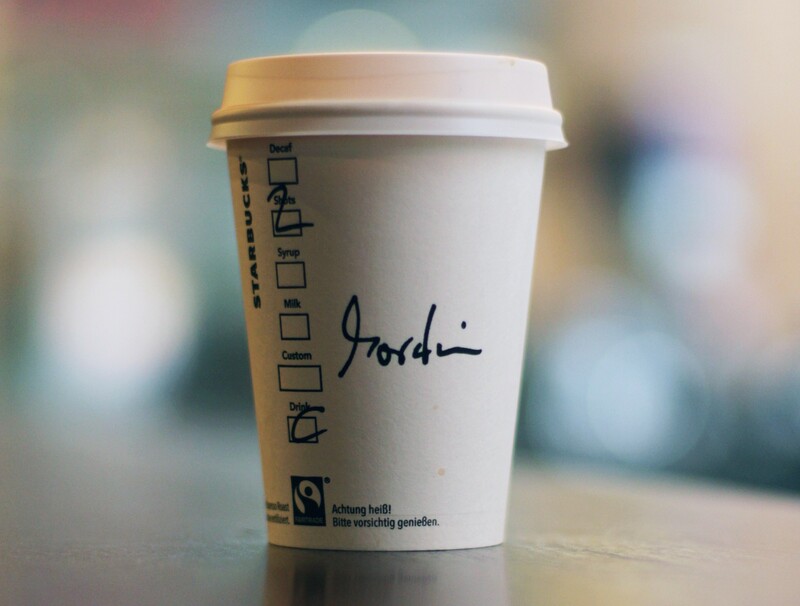 When taking drink orders, Starbucks employees ask customers for their first name. Once they have made the drinks, they call out the people’s names, adding a personal touch to the encounter. In a second step the goal is to find out which behaviors and experiences take place at interactions and touchpoints through which identity can be conveyed. Which actions could be improved or altered to create memorable service experiences that are able to carry a corporate message? 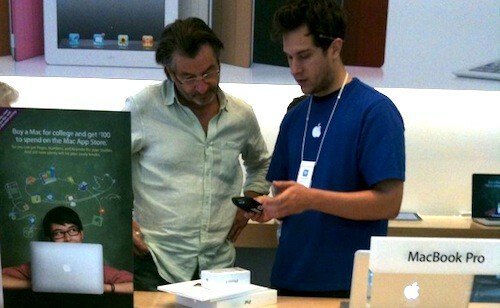 In Apple Stores, as in any other store, products need to be paid for. And Apple, known for its simple and elegant solutions, came up with an alternative to long lines at the cashier, a phenomenon that did not fit with the company’s image. Namely, every Apple Store employee carries a mobile device that enables customers to pay by credit card on the spot and receive a digital receipt via email: no more searching for a register, no more standing in line, no more paper waste. As this example shows, identity-compliant behavior can help customers avoid unpleasant situations and simultaneously communicate the corporate identity. In a third step, the values and norms of the corporate personality need to be translated into Corporate Behavior, just as appearance is translated into Corporate Design and messages into Corporate Communication. We refer here to an interpretation of values and norms in certain actions and experiences. Take IKEA’s free child-care service Småland, a creative interpretation of “togetherness” and “simplicity”, two of the company’s values (9): parents are spared the search for a babysitter as well as for an unhappy child lost among the endless furniture displays. Instead, children play with each other for up to an hour, supervised by qualified personnel, while parents shop in peace. Given the complexity of people’s experiences and actions a fourth step calls for a test-and-learn approach. Iterations and user tests will help refine processes to find the ideal solution. Over the course of this process, behavior may change entirely before it takes on its final shape. What is the advantage of CI-compliant corporate behavior? In general, it is a powerful way of communicating a company’s personality. After all, it has the same objectives as CI itself: to make a company in its uniqueness more tangible to customers, to deliver a clear corporate gestalt (1), to better differentiate the company from competitors (2) and to heighten the company’s appeal among those who identify with its personality. CI-compliant Corporate Behavior has the potential to address people in a more personal, direct way than Corporate Communication and Corporate Design, which mostly employ mass communication methods. Controlled Corporate Behavior offers a unique opportunity to communicate identity one-to-one through immediate experiences, which reinforces identity by getting customers more involved. Thanks to digital technology, it is very easy for customers today to document and publish inconsistent Corporate Behavior — which also makes it easy for companies to attract negative attention.his happened for example in the spring of 2017, when United Airlines forcibly removed a passenger from an overbooked aircraft. Travelers filmed the situation and posted the video on social media platforms. It can be assumed that many people experienced this as being in stark contrast to the claim “Fly the friendly skies”, a fact that additionally boosted the attention given to the case. (13). Today brand encounters need to do more than just communicate brand or corporate identity: they have to offer high added value for customers, foster positive, memorable experiences, and increase brand loyalty. 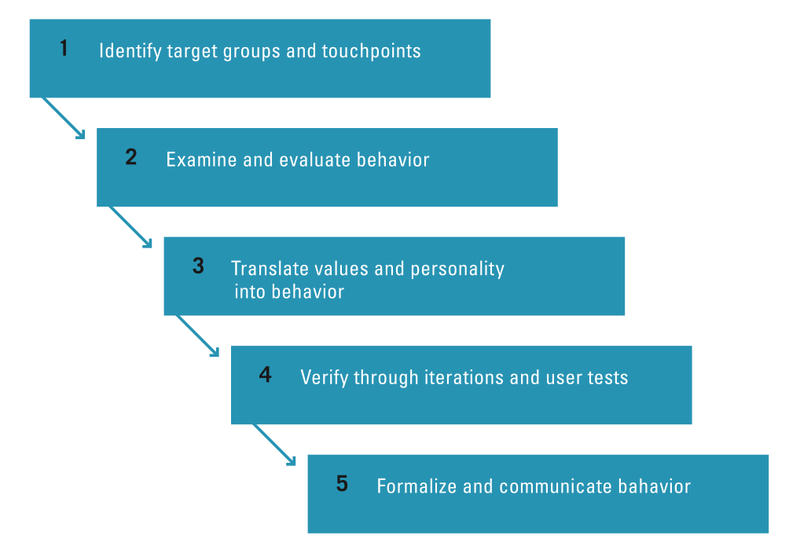 With the means of Service Design, behavior can not only be shaped according to given brand or company values, but touchpoints, processes and experiences can also be aligned with customer benefit with its help. Brandon Schauer of Adaptive Path shows how crucial it is for companies to provide great, CI-compliant experiences: “Organizations collectively spend billions of dollars each year on experiences intended to attract, serve, and retain customers. They build new stores and launch new websites; answer thousands of questions in call centres; market, advertise, and promote in multiple channels; experiment with trendy mobile apps; roll out new products; and re-engineer services. In short, organizations create and manage a myriad of touchpoints that they want to add up to a differentiated customer experience” (16). Despite that, companies are still investing 20 times more money in advertising every year than they do in developing and improving their services (17). Corporate Behavior has so far been considered difficult to develop. But different from 30 years ago, Service Design now provides methods, processes and tools to explicitly influence behavior and the resulting experience — this is especially true for interactions between customer and employee as well as when using offers. By reinterpreting the idea of Corporate Behavior, it is no longer the neglected child of the corporate identity mix but one of three equal parts. Given the importance of customers and their experiences, companies need to have an integrated view of design, communication and behavior. Whether identity-building or useful — in the end it is about what customers experience with a company, its employees, offers, interfaces or processes. The sensual, cognitive and affective element of an individual experience provide an intensity that makes it highly relevant. Whereas design and communication can only ever be promises — which customers can choose to believe or not — the experience of behavior is a concrete fact in individual people’s reality. It may be this aspect that lead Herbst to write: “A company is not judged on what it says, but how it acts” (3). It seems time to approach this aspect of customer relationships more methodically than has been the case so far. Communicating the brand or the identity of an organization through behavior in order to shape personal experiences is a promising way. This is especially true as it can be combined with delivering practical benefits through these encounters. So it may be justified to talk less about corporate images and more about branded customer experiences in the future. 1 Birkigt, K., Stadler, M. M. & Funck, H. J. (1980). Corporate Identity, 11. edition. Munich: Verlag Moderne Industrie; p. 18, 20–21. 2 Achterholt, G. (1991). Corporate Identity: In zehn Arbeitsschritten die eigene Identität finden und umsetzten. Wiesbaden: Gabler; p. 7, 17, 45–46. 3 Herbst, D. (1998). Corporate Identity. Berlin: Cornelsen Girardet; p. 23, 61–62. 4 Paulmann, R. (2005). Double Loop — Basiswissen Corporate Identity. Mainz: Hermann Schmidt; p. 84. 5 Mager, B. (2009). Service Design. Paderborn: W. Fink/UTB; p. 42. 6 Stickdorn, M. & Schneider, J. (2010). This is Service Design Thinking. Amsterdam: BIS Publishers; p.84. 7 Harriss, H. (2009). 08: The taxonomy and transposition of architectural knowledge. RIBA Research Symposium 2009. London: Oxford Brookes University; p. 1. 11 Munzinger, U. & Musiol K. G. (2008). Markenkommunikation. Munich: mi-Fachbuchverlag; p.132. 12 Allen, J., Reichheld, F. F., Hamilton, B. & Markey, R., (2005). Closing the delivery gap: How to achieve true customer-led growth. Bain & Company. 14 Olins, W. (2003): On Brand. London: Thames & Hudson; p. 75. 15 Olins, W. (2008). The Brand Handbook. London: Thames & Hudson; p. 42. 16 Schauer, B. (2013). 2013, Adaptive Path’s Guide to Experience Mapping. San Francisco: Adaptive Path; p. 3.